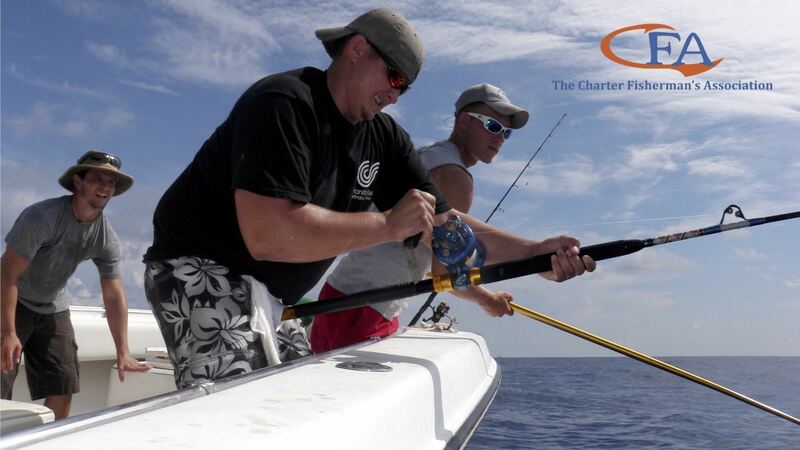 the Charter for Hire industry, and to ensure long-term sustainability of our fisheries. Each year millions of Americans rely on the Charter for Hire Industry to access our nation's fishery. Whether on a Head/Party Boat, Center Console or Luxury Sport Fishing yacht, our industry gives fishermen who do not own their own boats the opportunity to take advantage of our great fishery. Our customers come from all over the country and are a large part of the economic machine that drives our coastal communities. Charter Fisherman's Association was formed by a group of Charter for Hire fishermen for the Charter for Hire industry and the millions of recreational fishermen who rely on the Industry across the country. Our mission statement is: to ensure American public access to fishing, to engage and represent the charter for hire industry, and to ensure long-term sustainability of our industry. This mission is achieved through outreach, education and the development of realistic solutions within the framework of the Magnuson-Stevens Fishery Management Act, and the federal or state processes for managing and improving our fisheries. Current fishing rules hurt anglers, fishing businesses, and our nation's fisheries by severely limiting fishing with short or even closed seasons, while promoting wasteful discards due to outdated management practices. Moreover, the rules also fail to manage the fishery effectively. CFA will work to meet the mandates set by congress through the promotion of fishery management practices that are beneficial to the American public, the fishery in general as well as the fishing industry. Copyright © 2017 by Charter Fisherman's Association. All rights reserved.